Cowon EM2 that was born through the delicate tuning is to achieve an optimal balance in all areas from bass to treble and provides high resolution and rich sound. A high performance microphone and a remote control enhance conveniences of listening to the music with a smartphone. EM2 delivers precise instrumental and vocal details throughout the entire sound spectrum; from 20 Hz to 22,000 Hz. 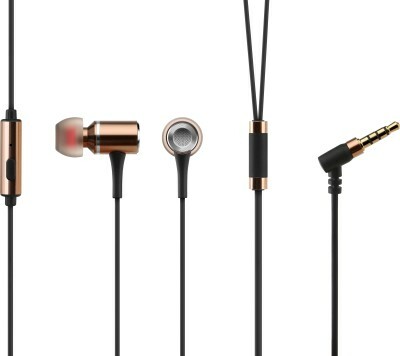 Dynamic tips conform to every shape of ear for the optimum listening experience throughout all sound ranges. Air hole structure was used for EM2 to make it rich in sense of space. Air hole that was tuned several times not only created rich space impression but also adjusted bass sound precisely for better music listening experiences. Gold-plated stereo plug was used to minimize signal interference and noise. Getting phone calls remotely and replaying music is quite easy thanks to EM2's perfect compatibility with smartphones. The built-in, high caliber microphone delivers nice phone call quality. EM2's 1.2M- long cable is convenient enough to use in a pocket or a bag.